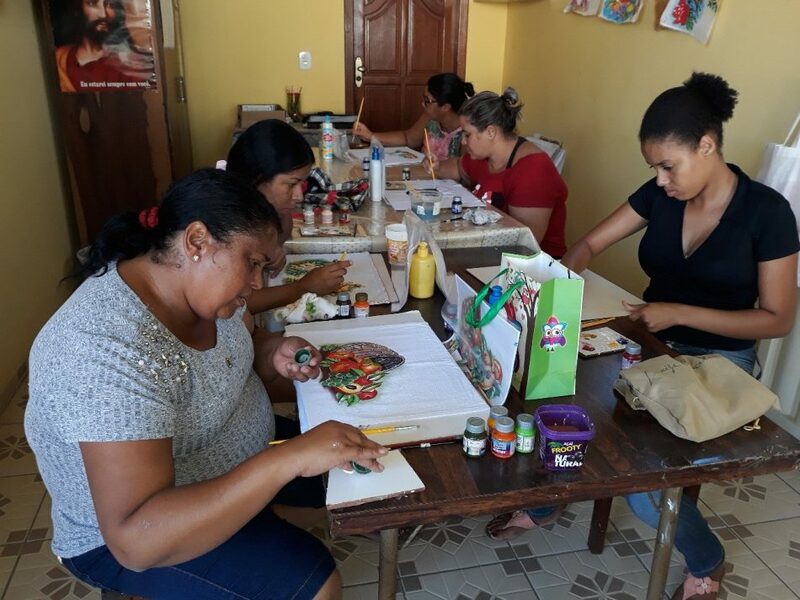 In response and preparation for this commission, the core committee of the International Justice and Peace, and Integrity of Creation (I-JPIC) group sent letters to our Sisters of St. Joseph across the world requesting information and stories about their current situations. Information gathered from our sisters at the grassroots level across the world has been woven into a written statement submitted for CSocD in 2019. This same information may also be the basis of an oral statement at the meeting. The NGO hopes that this information will help amplify our sisters’ voices in the important discussions surrounding social protection floors and systems — which are a set of nationally defined guarantees granted to citizens, such as social security, health care, pensions, food access, and disability care. Palestra para mulheres e familiares, com o tema CAPANHA DA FRATERNIDADE (Serviço de convivência e fortalecimento de vinculo). These statements represent an important part of our presence at the UN. They allow our NGO to contribute to wider dialogues about the CSocD theme. They also enable our UN representatives and delegates at CSocD to present facts, dialogue and advocate for change with Ministers from those countries in which our sisters are located. Additionally, this information will help contribute facts and stories to our Quadrennial Report — which is essential to maintaining the NGO’s status at the U.N.
Not only will this statement help deepen the NGO’s voice at the United Nations, but it also represents an educational opportunity within the global Joseph family. By involving our sisters from across the world, it helps deepen the collective understanding of the importance of social floor protections. It also allows the NGO to build stronger lines of communication between our organization and our sisters working at the grassroots level worldwide. The NGO also believes that the final statement will strengthen advocacy efforts in each of our home countries. 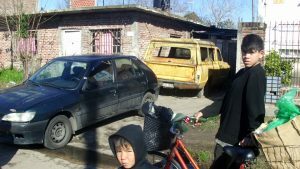 La mujer el frente de la case en Argentina. As part of this process, the Congregations of St. Joseph, our UN-NGO, has kicked off a new series of social media posts featuring these collected stories from our sisters around the world. These stories show our sisters, their ministries, their hopes, and some of the struggles they endure. Each story also speaks to the deeper need for social protection systems and floors. The posts will be in the native language of our sisters to reflect the diversity of our global Joseph family. Thanks to advances in social media, each post can be easily translated via social media or google translate to read in your own language. These ongoing feature stories will be available on our Facebook and Twitter pages. So far, we have heard from Sisters of St. Joseph in Argentina, Brazil, and East Africa, with many more planned in the coming weeks. Be sure to follow each of these pages to stay up-to-date with these important messages and photos from the global Joseph family.